"I Can’t Believe My Son Is …." 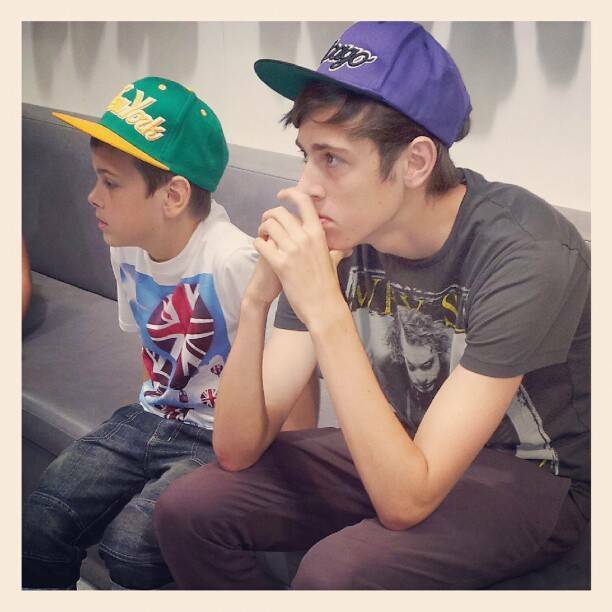 "New Shorts From Old Jeans : Creative Mondays Blog Hop…"
They look completely focused on something! Real concentration on their faces! Oh how sweet… Great shot! They look caught up in their own thoughts. Oooh yeah, peas in a pod! ANTICIPATION …..IT'S MAKING ME WAIT!!! He's going to be just like his big brother when he grows up!